Since the emergence of Kenyan endurance runners on the world stage at the 1968 Mexico Olympic Games their success has grown exponentially year on year leading to a plethora of explanations for their achievements. Two heavily cited explanations are genetic superiority and environmental factors. Despite a number of investigations, genetic superiority remains to be determined but what is clear though is that the environmental factors that interact with each genetic element leading to world-class performance are fundamentally important. 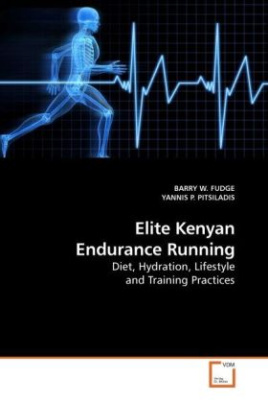 In this book we present a series of leading research investigations exploring environmental factors in a group of elite Kenyan runners, such as diet, hydration, lifestyle and training practices. This book also presents cutting edge research exploring the application of sports technology that may aid our future understanding of the determinants of endurance running performance. The authors propose the Kenyan running phenomenon is unlikely to be one single explanation but rather the explanation is likely to be complex in origin and that many individual factors may well aggregate to produce world-class performance.